CRB is proud to announce that the Lonza Houston Inc. cell and viral gene therapy manufacturing facility has won Engineering News-Record (ENR) Texas & Louisiana’s 2018 Best Projects in the Manufacturing category. A total of 121 entries were submitted for the Best Projects competition. The judges selected 42 projects across 18 categories as the region’s best. Projects were scored on the ability of the project team to overcome challenges, contribution to the industry and community, project innovation, safety and construction/design quality. 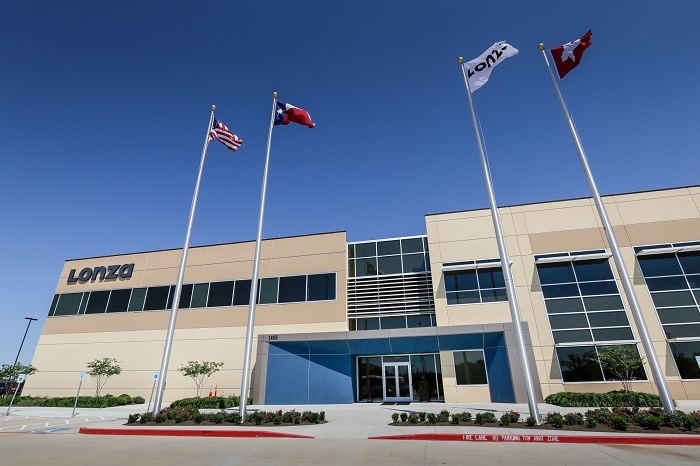 Lonza Houston is 300,000-square-foot state-of-the-art facility located on an 11-acre site in Pearland’s Lower Kirby District, just outside Houston, Texas. This project stemmed from the intent to move existing clinical operations out of a location that could no longer support the anticipated operational growth. CRB provided design-build services to create a 170,000-square-foot greenfield space to house the viral-based cell and gene therapeutics manufacturing operation with an additional 130,000 square feet readily available expansion space to house the anticipated growth of this operation. Clean rooms were designed to manufacture cell therapy and viral gene therapy products to meet the growing demand for products in the U.S. and European markets. Lonza Houston is now the world’s largest dedicated cell and gene therapy manufacturing with process development capabilities bringing products from concept to patient. "Lonza Houston will serve as a center of excellence for cell and gene therapy process development from concept through pre-clinical, clinical and commercialization, all the way to the patient," Thomas Fellner, Head of cell & gene therapy at Lonza Pharma & Biotech, said. "This facility has the potential to produce treatment for thousands of patients suffering from rare genetic disorders or life-threatening diseases, under one roof. It will set a new standard in biopharmaceutical manufacturing and stand as one of four centers of excellence in cell and gene therapy in the only global network spanning three continents." This project also encountered a formidable challenge halfway through construction that was unlike anything experienced in the area: Hurricane Harvey. Dropping over 40 inches of rain in a four-day period and ultimately causing $125 billion in damage and claiming 88 lives in the region, it was through intense collaboration and teamwork by individuals who had lived and worked through other storms like Hurricane Katrina that the team was able to effectively prepare for and overcome such a significant hurdle. CRB and Lonza will be recognized at the ENR Texas & Louisiana Best Projects awards ceremony in Houston on October 18, 2018.